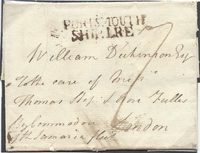 1833 Cover from the USA addressed to London "via Liverpool p Packet..." showing on the reverse a very fine step-framed LIVERPOOL/SHIP LETTER, Robs S 11. 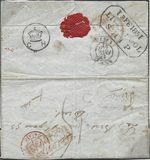 1877 2/- DEEP BLUE, SG 119, tied to Entire addressed to Mexico by a very fine London 97 duplex. 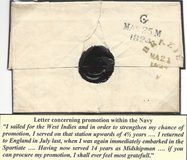 1874 6d Grey, SG 147, Plate 13, tied to envelope from Leeds to the USA.